"The second of Richard... Hannays’ adventures takes him from the trenches of the First World War on a mission of vital importance to the British campaign in the East. In an attempt to manipulate their Turkish allies the Germans have created a religious figurehead, a prophet of a new order to unify the disparate tribes of Asia and crush the allied offensive. Pursued by the barbaric General Stumm, Hannay and his old South African friend and teacher Peter Pienaar with fellow soldier Sandy Arbuthnot and American engineer and less than ‘nootral’ John S. Blenkiron make their different ways to Constantinople to find the elusive Greenmantle and do what they can to avert disaster. But who is Greenmantle and what dastardly part has the sinister fanatic Hilda von Einem to play in the game which will determine the outcome of the war. Packed with incident and incredible feats of derring-do the story culminates at the offensive. Buchan’s life in politics and his work for the Intelligence Corps gave him knowledge and an insight that few others could have at the time. With remarkable prescience he reveals the main theme and keeps the attention to the last. 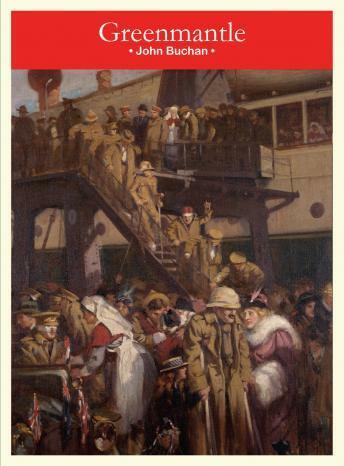 I’ve missed out on reading Greenmantle, which features Hannay again, this time hauled out of his regiment and the First World War to seek out a threat that is massing on the borders of Empire. It’s surprisingly good and an excellent choice of title to resurrect – classic adventure that can still knock spots off today’s competition.